The Infinity Expeditionary Unit is a fictional unit within the command structure of the Spartan-IV teams aboard UNSC Infinity. The job of the INFE is expedited response and deployment to situations on the ground with speed and efficiency superior to even other Spartans. These ranks are loosely based on standard Marines Corps ranks. The structure has been simplified from that of the actual UNSC or real-life 21st century USMC for easier understanding. There is also one special Navy enlisted rank in E6. Please note that while this is the chain of command and who is the boss of who, INFE members of ALL ranks participate in squad operations. Colonels fighting alongside Privates, however the only ones dishing out the orders are the superiors. During combat, Spartans-IV are trained to fight independently. It is up to your individual commanders whether or not to issue orders during games. On the forum, in messages, and during pre-game lobbies, be sure to listen and obey any and all orders. Getting promoted depends on time in service and determination in your duties. There can be no rank skipping through normal promotions, except for special promotions as appointed by INFE Command. Members with prior experience with a INFE partner clan may be given advanced rank, or when there is a need for leadership positions. Part of being a clan member is attending practices and being active. If you are going to miss a practice post it in your squad discussion. All Enlisted may be given advanced rank by a Capt or above. Approve with Command first. Officers Capt and below may be given advanced rank by a Lt Col or above. Approve with Command first. (O6) COL - Unavailable now due to directive from Office of Naval Intelligence Section Three directive 2b-22-d(1.22). 2ND LT through MJR are eligible to be Senior Staff Officers under the direct command of the INFECOM Colonel. All duties below must either be appointed or earned. Feel free to inquire about what is needed and if you may fill the position. Contact [You must be registered and logged in to see this link.] to inquire. (SM) Squad Member: Rank PVT through MSGT. Attends weekly practice and is online some other times of the week. Obey orders of your leaders. (SL) Squad Leader: Rank CPL through MCPON. Leads squad during practice and handles questions and concerns of the squad. If a problem goes above the squad leader's knowledge or power consult a platoon staff member. For forum related problems report to Insevin. Must help recruit for the clan which means posting on forums/social networks and/or sending messages to recent players on Xbox Live. (SA) Squad Assistant: Rank CPL through MCPON. Helps leads squad during practice and handles questions and concerns of the squad. If the leader is absent you take over their duties. If a problem goes above the squad assistant's knowledge or power consult the squad leader or a platoon staff member. For forum related problems report to Insevin. Must help recruit for the clan which means posting on forums/social networks and/or sending messages to recent players on Xbox Live. (Mod) Moderator: Rank CPL through LT COL. In addition to other duties, they have the duty of forum moderator. Their duties include monitoring the forums for spam, offensive material, and other problems. They are able to lock, merge, and delete posts and topics as well as some other functions. Moderators are not authorized to modify content posted by INFECOM or Insevin. This is an invitation only group. (PL) Platoon Leader: Rank 2ND LT through 1ST LT. Ensures that squad staff are preforming their duties properly and are not absent without leave, handles questions and concerns of the squad staff. If a problem goes above the platoon leader's knowledge or power consult a company or battalion staff member. For forum related problems report to Insevin. Must help recruit for the clan which means posting on forums/social networks and/or sending messages to recent players on Xbox Live. (PA) Platoon Assistant: Rank MSGT through 1ST LT. Helps ensure that squad staff are preforming their duties properly and are not absent without leave, handles questions and concerns of the squad staff. If the leader is absent you take over their duties. If a problem goes above the platoon assistant's knowledge or power consult the platoon leader, company, battalion staff member. For forum related problems report to Insevin. Must help recruit for the clan which means posting on forums/social networks and/or sending messages to recent players on Xbox Live. (CCO) Company Commanding Officer: Rank MJR. Ensures all lower levels of the clan are preforming their duties properly and are not absent without leave, handles questions and concerns of subordinates. If a problem goes above this position's knowledge or power consult a LT COL or COL. For forum related problems report to Insevin. Make sure that recruiting efforts are active and supervise the lower levels recruiting efforts. (CXO) Company Executive Officer: Rank CAPT. Follows orders of the (CCO) Commanding Officer. Helps ensure all lower levels of the clan are preforming their duties properly and are not absent without leave, handles questions and concerns of subordinates. If a problem goes above this position's knowledge or power consult the CCO, LT COL or COL. For forum related problems report to Insevin. Make sure that recruiting efforts are active and supervise the lower levels recruiting efforts. (BCO) Battalion Commander: Rank LT COL. Coordinates battle. Helps ensure all lower levels of the clan are preforming their duties properly and are not absent without leave. Handles problems of subordinates that go beyond their power. If a problem goes above this position's knowledge or power consults the COL. For forum related problems report to Insevin. (BXO) Battalion Executive Officer: Rank LT COL. Coordinates battle. Second in command. Helps ensure all lower levels of the clan are preforming their duties properly and are not absent without leave. Handles problems of subordinates that go beyond their power. If a problem goes above this position's knowledge or power consults the BCO or COL. For forum related problems report to Insevin. (INFECOM) Expeditionary Unit Commander: Rank COL. Monitors all subordinate clan positions, enlisted and officers. Helps supervise recruiting efforts. Coordinates battle. This is a closed group. (SSO) Senior Staff Officer: Rank 2ND LT through MJR. Monitors squad staff, platoon, and company leaders. Reports irregularities or problems to Battalion Staff and INFE Command. For forum related problems report to Insevin. Helps supervise recruiting efforts. 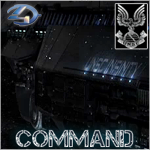 (Admin) Forum Administrator: Rank LT COL through COL. Administrates the forum. This is a closed group.